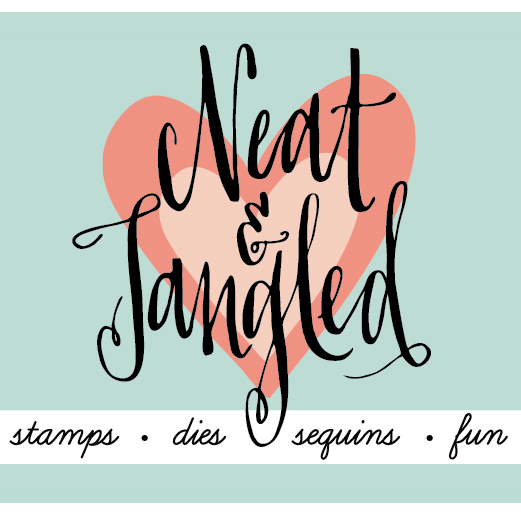 Today I am sharing the card I made for the latest Your Next Stamp Design Team Dare. We were told to "Be Merry" and so I was! To see the rest of the Design Team's creations (CLICK HERE!) to visit the Your Next Stamp Blog. I used the new Pine Tree Branch Die and the new Wonky Circle Sizes die set. I also used a few older favorites like the Happy die, and the Happy Everything Stamp set. A more complete list of supplies with links will be listed below. I started with an A2 sized top folding card base in Simon Says Stamp Fog cardstock. I cut a piece of Neenah Solar White 110lb cardstock down to 3 3/4 x 5 and embossed it using the Stampin' Up! 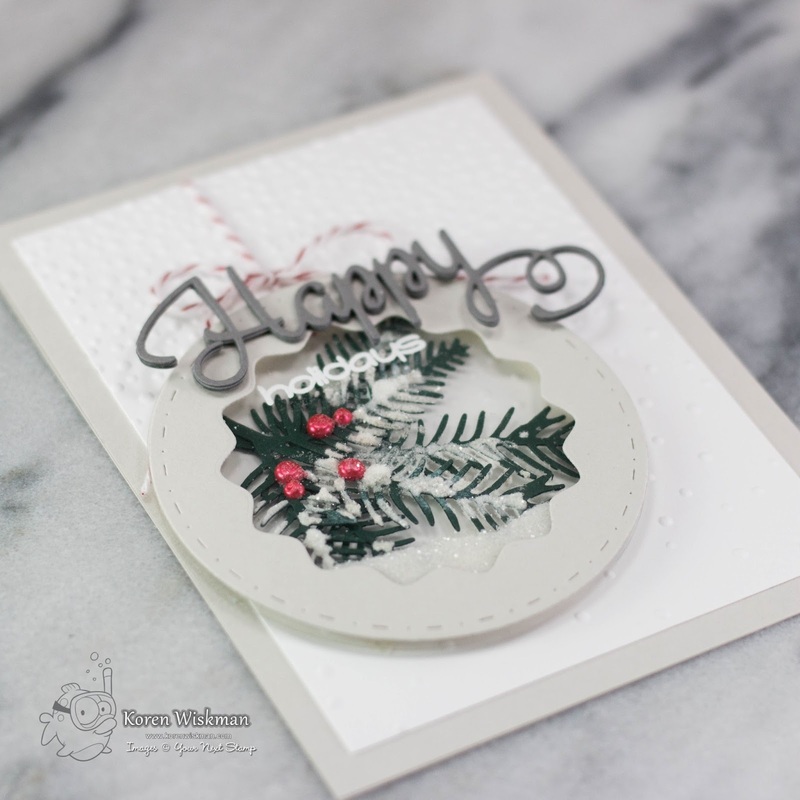 Falling snow embossing folder. I then used the second largest Wonky Circle Sizes die and the third largest Stitched and Pierced Circle die to create my ornament (also from Fog cardstock). I created a clear shaker using Crafters Companion acetate sheets and 3M foam tape. Inside the shaker are Pine Tree Branches and Distress Rock Candy Glitter. I added red berries with Liquid Pearls Ruby Red. I added snow to the pine branches with Marvy Snow Pen. The Happy die sentiment is cut from Taylored Expressions Earl Gray cardstock layered four times with Ranger Multi Medium Matte adhesive. 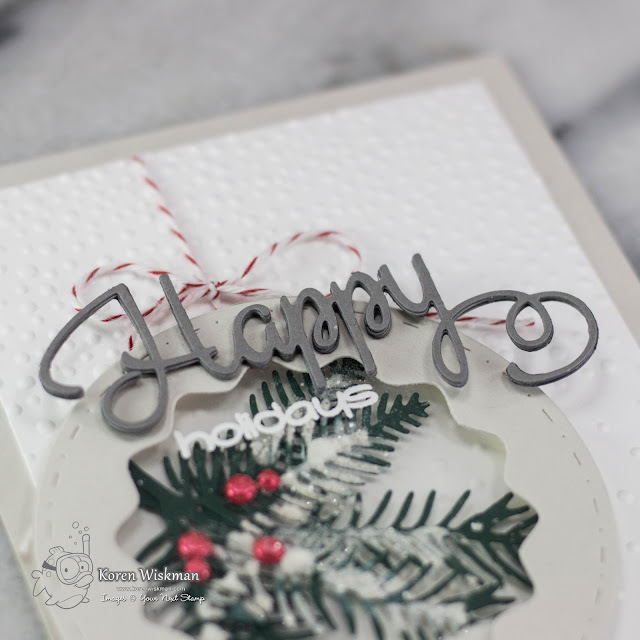 The holidays sub-sentiment is heat embossed on the front of the acetate ornament with Versamark and Hero Arts Ultra Fine embossing powder. To finish off the card, I hung my ornament with Stampin' Up! red and white twine and adhered the shaker portion directly to the embossed background with tape runner adhesive. I tied a bow, and called it finished. To see photos of my card, a link to the YouTube video I made while creating this card, and links to the supplies used, look below. A real gem! ♥ it! This is such gorgeous Christmas spirit card !! Very classy !